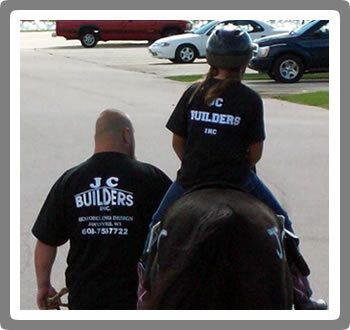 JC Builders Inc. is a family owned full service remodeling company founded in 1981 and located in Janesville Wisconsin. We specialize in residential remodeling and that has been a major focus of ours since we started, however we do handle light commercial projects. We are a small home town company managed by a father son team with a combined experience of over 50 years, which allows us to develop a very good working relationship and be extremely hands on with every project we complete. We work with you from design to completion of your project to ensure the finished product is exactly what you wanted. Our goal is to make sure your project is finished on time, on budget, and just the way you imagined it. JC Builders Inc. has been a proud member of the South Central Wisconsin Builders Association (SCWBA) since 1986 as well as the Wisconsin Builders Association (WBA), National Association of Home Builders (NAHB) and was named the NAHB builder of the year in 1991.Were were also ranked in the top 500 remodelers in the nation by Qualified Remodeler magazine from 1994-1998. When you contract with JC Builders Inc, you can be certain that your remodeling project will be treated with the highest levels of professionalism. 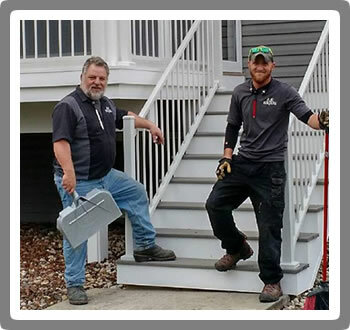 In keeping with our commitment to total client satisfaction, we approach every construction project with the quality and care that has earned us our outstanding reputation, and allowed us to lead the industry in design and remodeling excellence. As Energy Efficient Product Specialists, we incorporate sustainable business practices throughout our company.